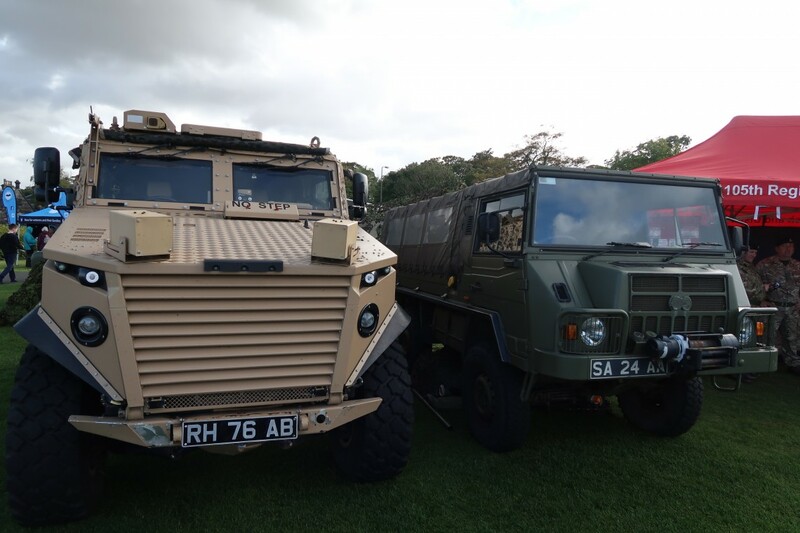 Back in September, I can only apologise for the delay in this post, we made a trip through to Musselburgh Racecourse for the Supporting your Services Family Day. We’ve never been here before, so we weren’t sure what to expect, but it is safe to say we will be back. It was a brilliant day. The kids loved it, we loved it, even though it was a little chilly, we all came away with smiles on our faces and memories in our hearts. We parked in one of the designated parking areas which seemed a fair bit away from the racecourse, it wasn’t, however, we took the little shuttle bus to the door which was great. I wasn’t sure what it would be like when we got in, but everyone was lovely and we wandered around for a bit before settling down for a bite to eat. 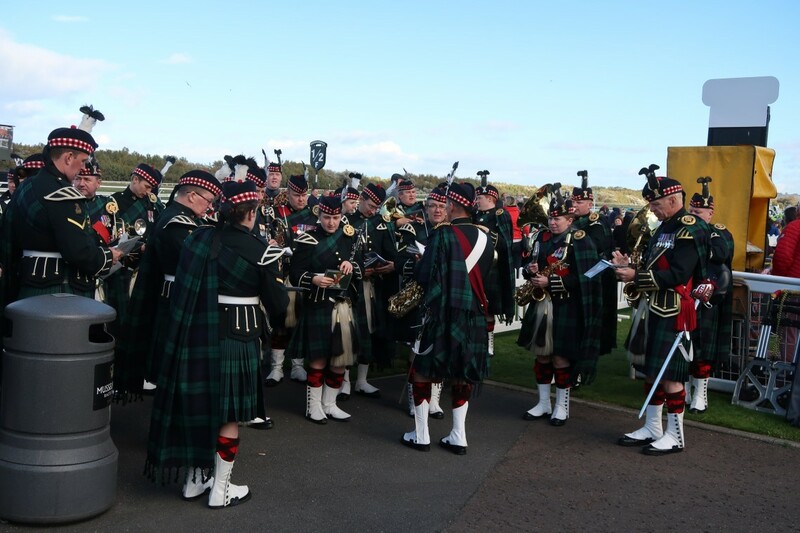 We had a look at the TA band, who were fantastic and Lucas first music teacher was there, so it was nice to see him. Lucas plays the trumpet so he enjoyed listening to them too. There was a lot to see and do and we’d only just scratched the surface. 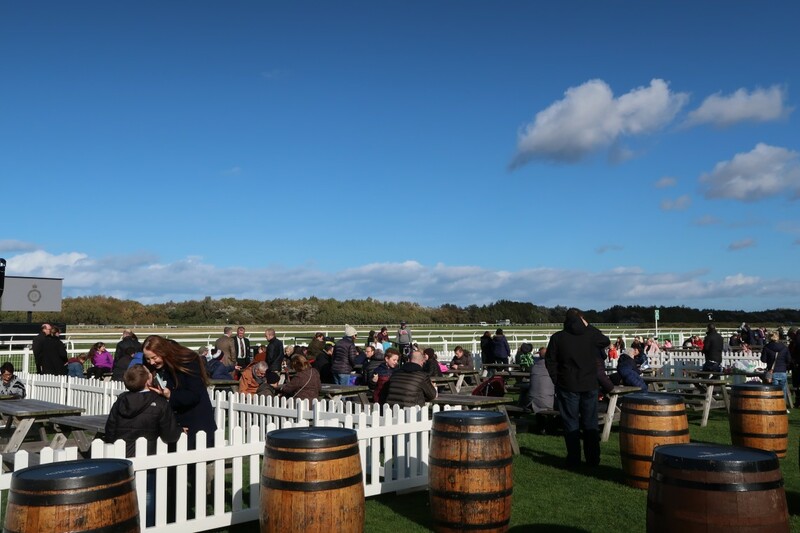 The lunch area is a little section to the side of the racecourse which has some lovely picnic tables and part of it is cordoned off with a white picket fence which is cute. Some of the tables you can reserve in advance, which is great if there is a little group of you or a family. They have bins in the area and little ponchos should it start to rain. The view is great and a lovely place you can sit and go back to for a little breathing space. It is busy around the grounds, but not too busy that you feel uncomfortable. 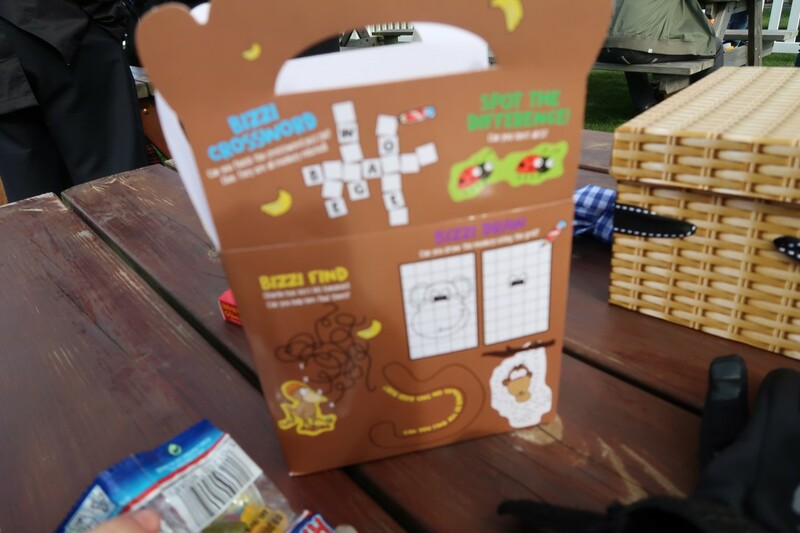 The kids got these little-packed lunch boxes containing a sandwich, drink, fruit and a treat. They were happy with theirs and loved having the little boxes outdoors. It’s such a great idea. 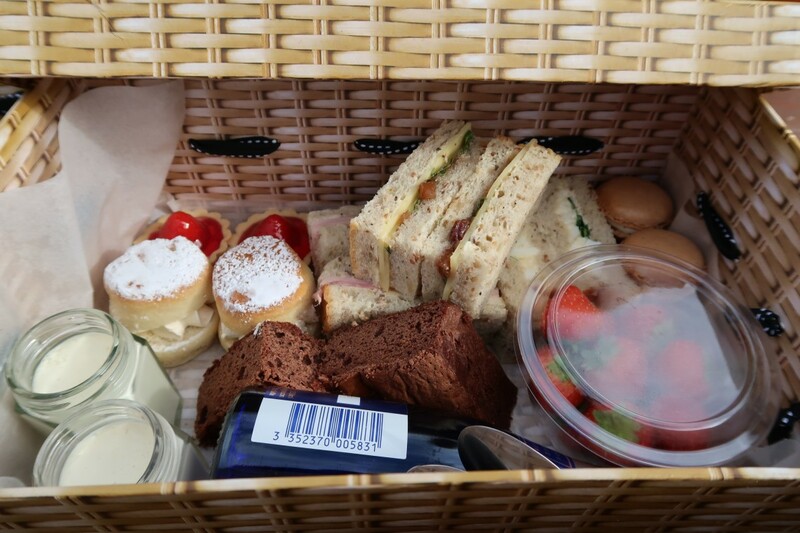 Us adults had the most amazing cardboard picnic baskets, they were amazing and filled with the most decadent goodies from macaroons, cakes, sandwiches, strawberries, Prosecco and more. Honestly, it was heaven and we truly loved it. It was such a nice treat to sit there, soak up the atmosphere and eat some good food. I would highly recommend one of these. 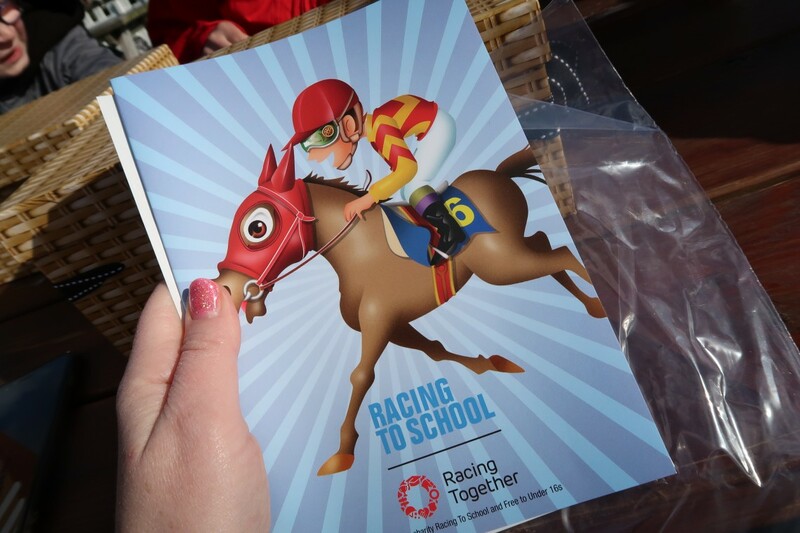 The kids got some of these great little Racing School booklets which had some excellent facts about racing, how the horses are kept, different types of horses, about the jockeys, trainers, etc. It was really interesting and a great way for us to sit and discuss what we were about to see and more about the animals itself. 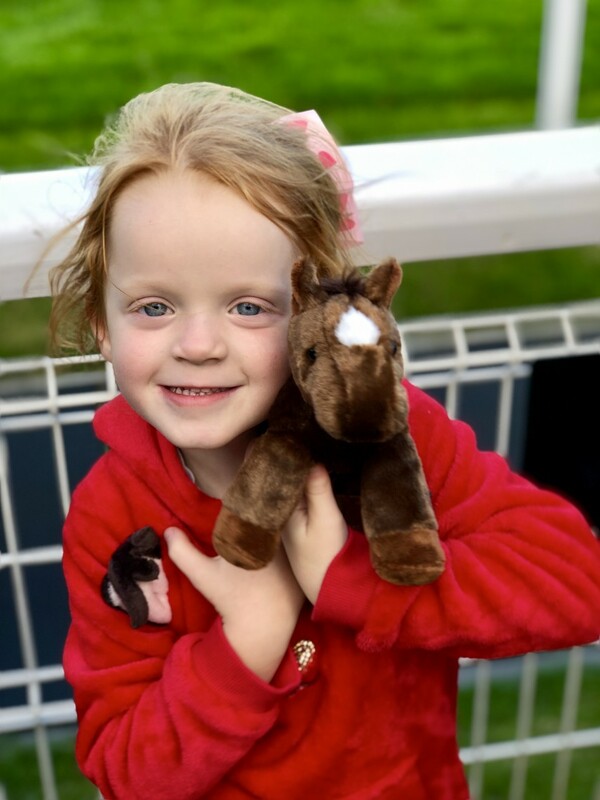 I felt they were a great addition to the family day out at the racecourse. 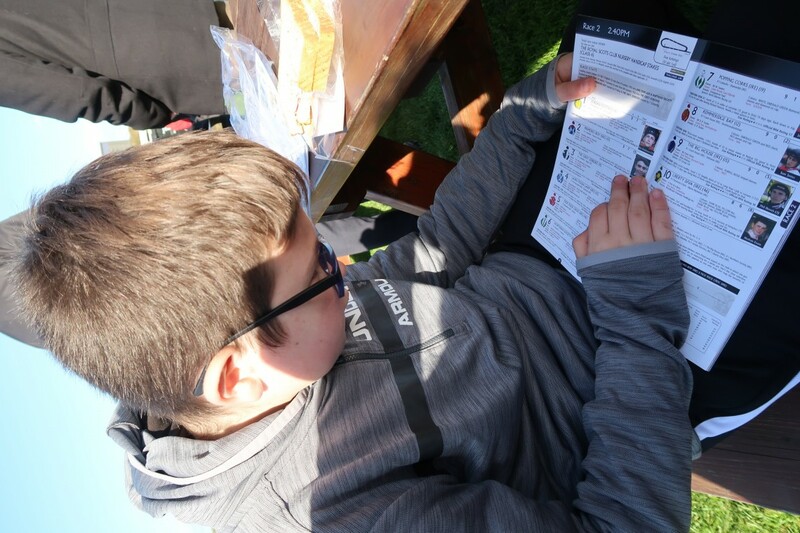 Everyone was keen for the horseracing to start and we let everyone pick a horse that they thought could win. Picking out their favourite names and colours. 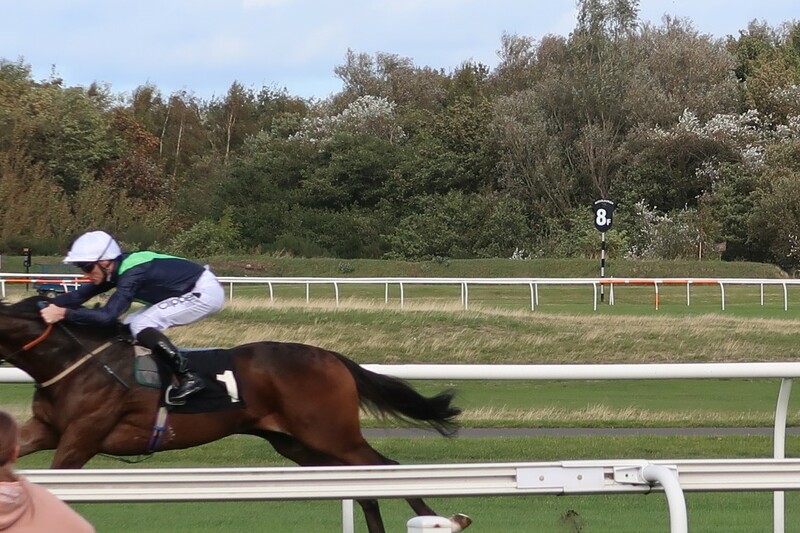 We put on a few small bets and explained what happens. We all started to watch the first race. It is very exciting. We stood near the finish line so we could watch them. There is a big screen too if you can’t see the whole racecourse and the commentary too. The view was spectacular. We didn’t win this race or any of them, but we didn’t mind. We cheered and we were in awe of the amazing animals and their jockeys. There was a chance to see the winning horses and owners at the Parade Ring too. Which was a great way to see them up close before and after the race. The kids loved seeing how big they were. Such beautiful and majestic animals. The Support Your Services Day Family Day wasn’t just about Horse Racing, no, there was loads to do. There were inflatable assault courses that all three kids loved and had such a laugh doing. There were ambulance, police cars, tanks and more. You could go and speak to the staff, try out weapons at the TA and find out more about these awesome services. It was a great way to find out more about them in a family-friendly environment. There was a beautiful Carousel. Which the younger kids were having a great time on. Plus a climbing wall and a few rides for bigger kids too. All free of charge I might add. 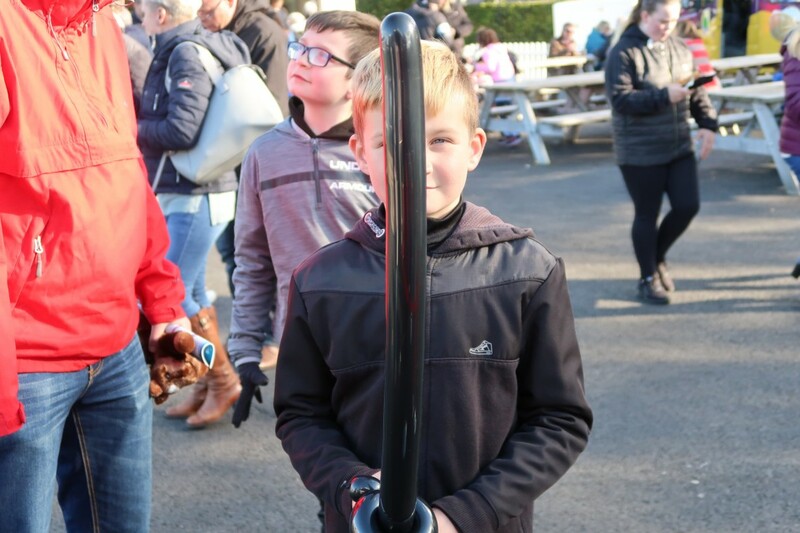 Everyone at Musselburgh Racecourse went above and beyond to make sure that the kids had the best time, there was free balloon modelling which Tyler loved and got a sword. 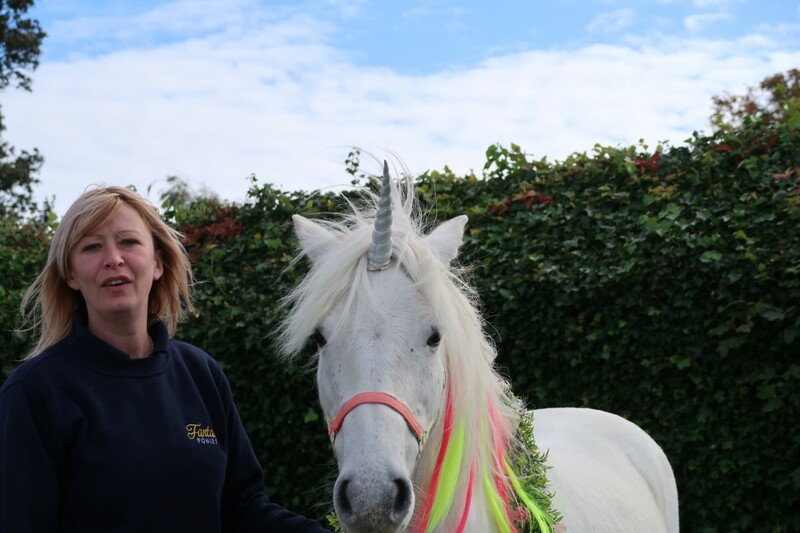 You might not believe it, but we met a real-life unicorn. I know, how amazing is that? Isn’t she beautiful? This was a wonderful, placid and friendly unicorn which is used as part of the Therapets and used to kids. She was the star of the show as far as we were concerned. 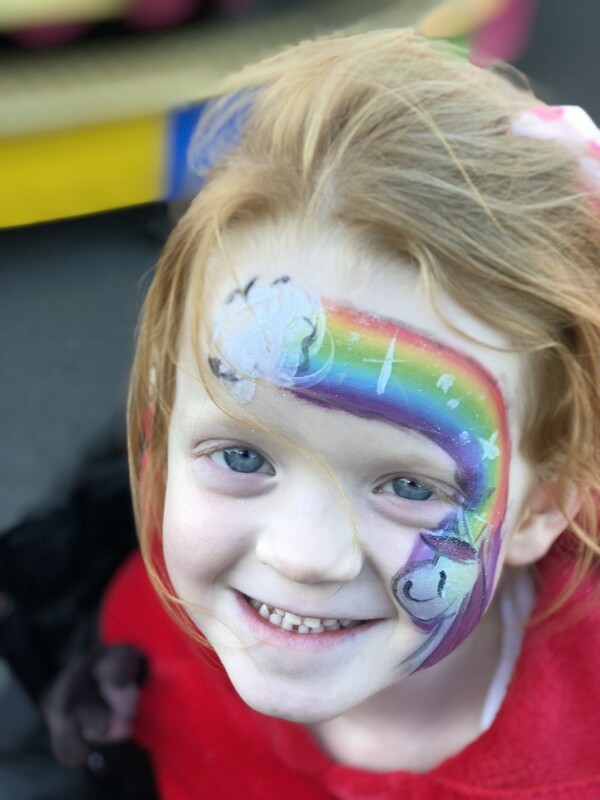 Aria got her face painted. It was fantastic and best of all, it was all free of charge. Everything is included in your entry. Not only that, but kids go free too. All you need is a paying adult. 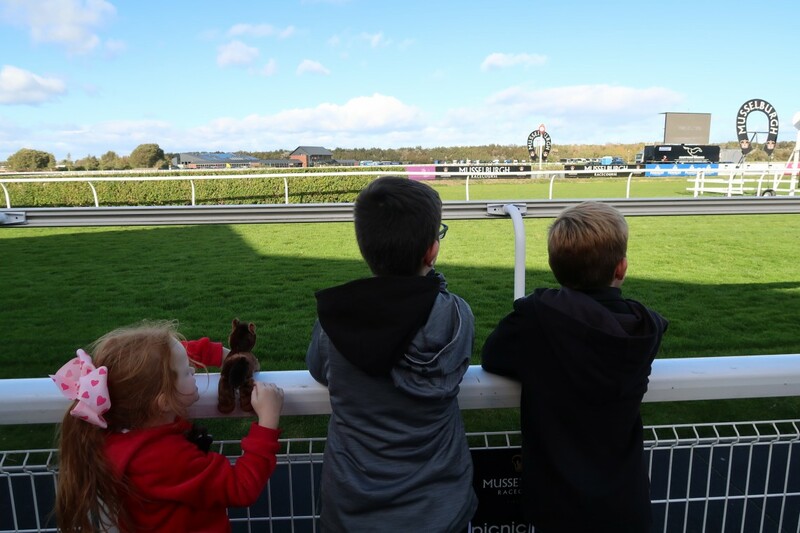 The value for money is fantastic and it gave the adults a chance to have some fun, place some bets while having a great family day out. 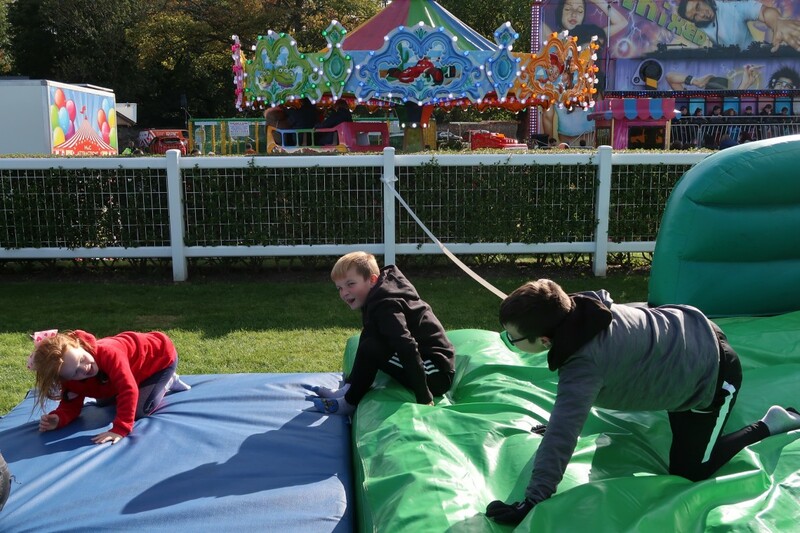 We had the best time at Musselburgh Racecourse, we will definitely be back for the next family day and I can’t recommend it enough. Give it a go yourself. 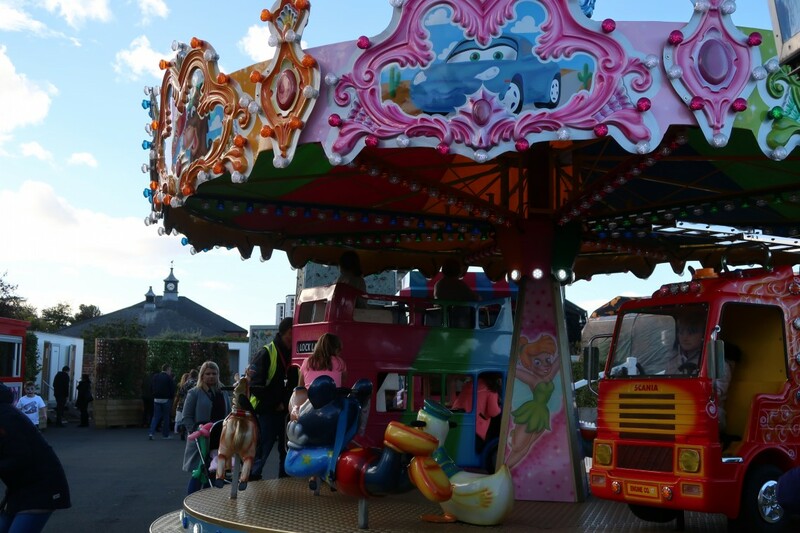 The next family day will be on Easter Saturday 20th April 2019. Head to their website for tickets. Disclaimer:- We were given family tickets to visit the Racecourse, but all thoughts and opinions are my own. It looks like you had a wonderful day! It seems there was plenty to see and do. The picnic boxes look fab! Yum! Yum!